Apple Pie Porridge makes for a gooooooooooood morning! Had to share, this was too good this morning! In a small saucepan bring the oats, cinnamon, milk, honey and raisins to boil. Turn to simmer for a few mins. Add the apples. Simmer for a further 2-3 mins. Meanwhile, toast the seed mix (you could use any nuts you fancy here) in a small pan. 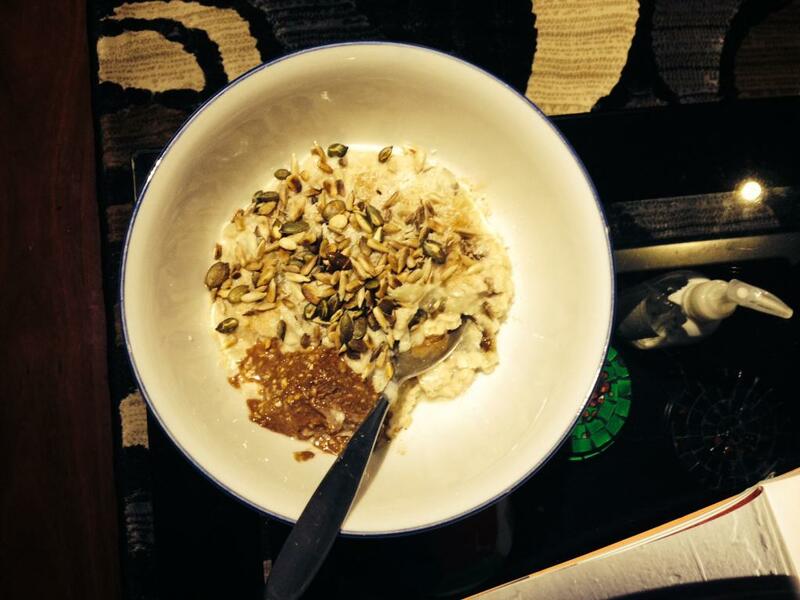 Top the porridge with seed mix and Mayvers Super Spread. Enjoy with a smile and have yourself a top day!